From Pr. Dietrich Bonhoeffer’s 1933 Sermon on today’s Gospel,St. Matthew 16: 13-19 preached in the Trinity Church, Berlin, when Nazism was in the ascendancy and everyone thought this was a consummate good. But it is not we who build. 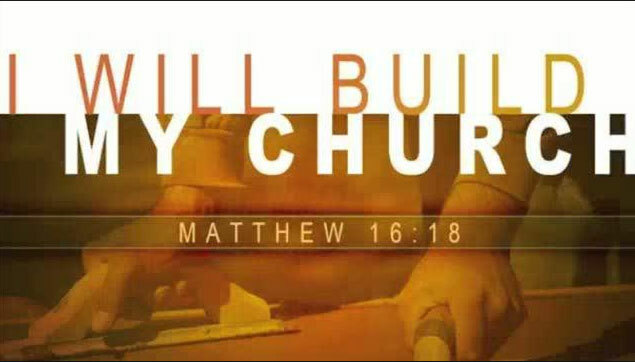 He builds the church. No human being builds the church but Christ alone. Whoever intends to build the church is surely well on the way to destroying it; for he will build a temple to idols without wishing or knowing it. We must confess-he builds. We must proclaim—he builds. We must pray to him-that he may build. We do not know his plan. ‘We cannot see whether he is building or pulling down. It may be that the times which by human standards are times of collapse are for him the great timesof construction. It may be that from a human point of view great times for the church are actually times of demolition. It is a great comfort which Christ gives to his church: you confess, preach, bear witness to me, and I alone will build where it pleases me. Do not meddle in what is my province.